Q:Is this product dishwasher safe? A:The glasses are dishwasher safe in the top rack, however we do recommend hand washing them. Size: holds up to 18 oz. These stylish Ferdinand mugs are the perfect gift for groomsmen who enjoy a good beer. 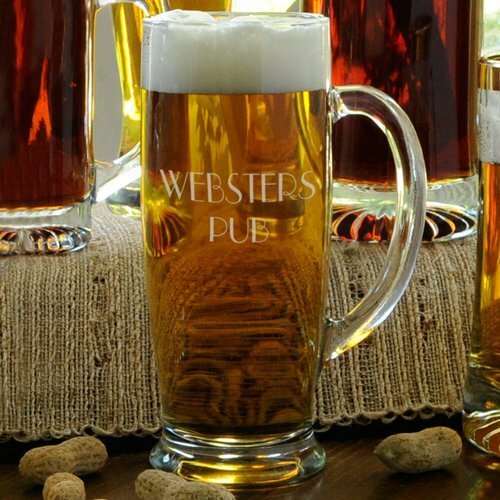 Ideal for beers on tap, lagers, and specialty beers, this mug is secured with a sturdy handle and a wide base to prevent spills. Personalize this mug for an added special touch.